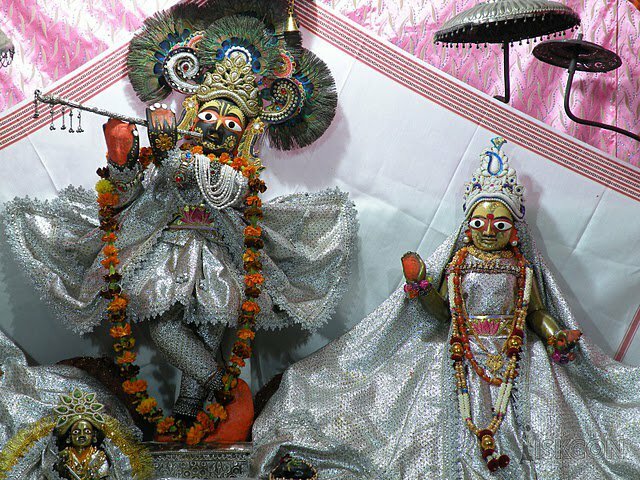 All glories to Madana-mohana, who is eternal and full of knowledge and bliss. 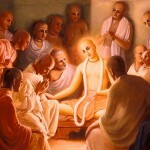 He is dear to the saintly devotees, and He is an ocean of mercy for the fallen souls. 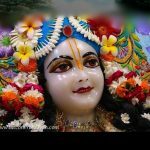 I, who thirst to taste a drop of Lord Madana-mohana’s mercy, shall now write these sutras describing the eternal truths of spiritual life. As far as I understand, so I shall write. Bowing down before Lord Sri Krsna Caitanya, the eternal maintainer of all the worlds, I shall now write this Tattva-sutra and a commentary upon it. 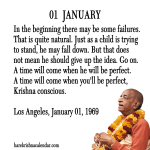 Here someone may protest: Is it not so that Sri Vyasadeva and other authors of sutras must always begin their sutra books with the word “atha” (now)? The sutras “athato brahma-jijnasa” and “athato dharma-jijnasa” are examples of this. This must be done both to bring auspiciousness and to state the topic one wishes to understand. 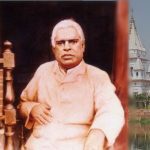 Thus when one writes a book about Brahman or about dharma one must begin with an introduction describing the topic to be discussed in the book. Why has the author of Tattva-sutra not done this? The Supreme is one. He has no rival. Here someone may protest: If it were so that there is only one Supreme God and no other Gods, then that one God would have to perform by Himself all the many duties involved in creating, maintaining, and destroying the universes. He would have to perform them all without any help from anyone else. 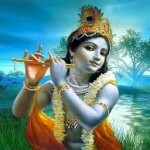 Because He is limitless, He has all powers, even though He remains beyond the touch of the modes of material nature. Here someone may protest: You consider the Supreme both beyond the modes of material nature and the master of all potencies. How is it possible to ascribe these two mutually contradictory natures to the Lord? Clay as mineral supplement – Even Chimpanzees know it! What caused the deaths of hundreds of Whales in New Zealand?